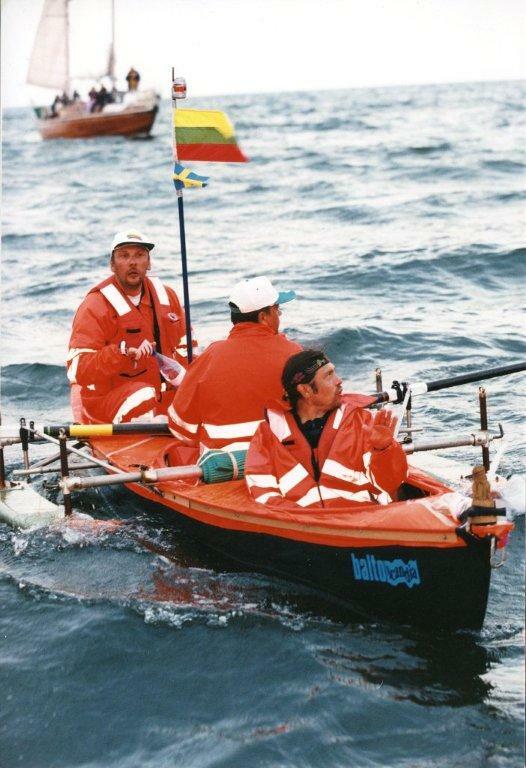 In the summer of 1999 historian and diplomat Vytautas Žalys initiated the first ever sea journey in a canoe “Baltoscandia” from Palanga in Lithuanian to the Swedish city of Kalamar. The expedition sought to promote Scandinavians’ interest in Lithuania, as well as to promote unity of all the Baltic Sea States. The 4.8 meter long canoe “Baltoscandia” was manned by member of the Wanderers Club – Vytautas Žalys, Vytautas Germanavičius and Andrius Skruvydas. The expedition route consisted of three stage: Palanga – island of Gotland (140 nautical miles / 220 km), island of Gotland – island of Åland (50 nautical miles / 80 km), Åland – Kalamar in Sweden (62 nautical miles / 100 km). Taking currents and winds that affected the canoe into account, the crew rowed nearly 270 nautical miles or 430 km over the 12 days of the expedition. 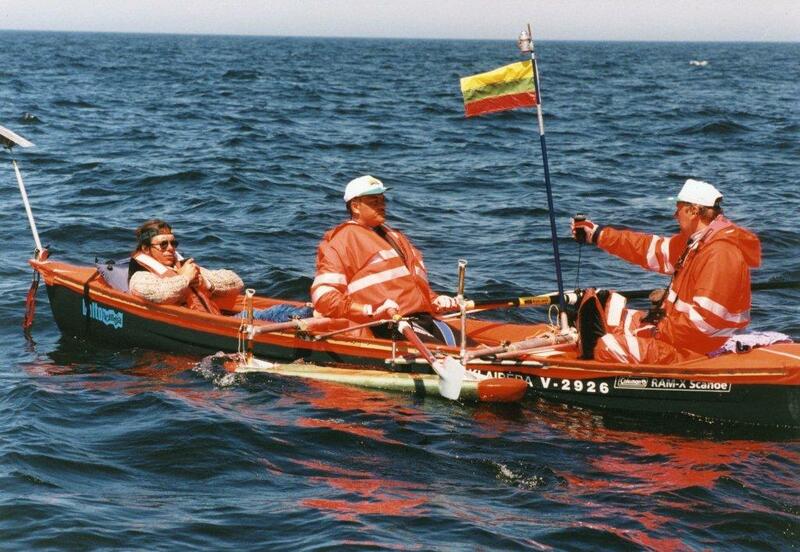 Throughout its journey the canoe was escorted by the yacht “Ragainė-2”, captained by Andrius Varnas.